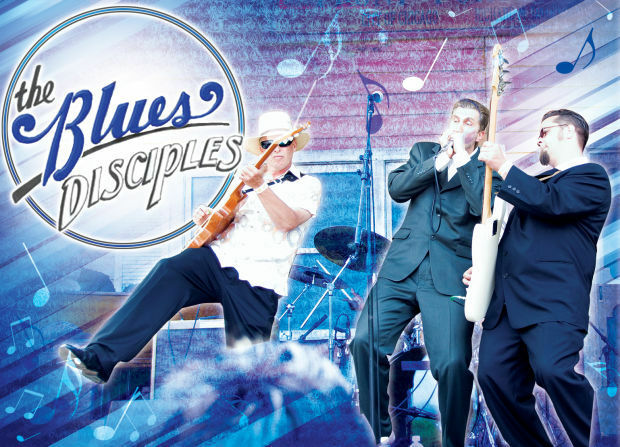 The Blues Disciples have been bringing their Blues to the people of the local clubs in the Milwaukee area and the Midwest region since 1990. Founded by “Barefoot” Jimmy Schwarz with the intent of remaining true to the influences of the Chicago electric blues era of the ’50’s and 60’s. Influenced initially by the likes of Little Walter, and Muddy Waters, and then directly by Wisconsin Blues greats Jim Liban and Billy Flynn they forged a sound and band that rose to the top of the Milwaukee Blues scene. Their years of powerful shows every week at Milwaukee Blues fixture, The Up & Under, turned a whole new generation on to the Blues genre. Many years and changes have kept their music fresh, and relevant, while still remaining true to their Blues roots.